Skip the crowds and plan a romantic dinner at home instead. When you prepare the food you know exactly what does (and doesn’t) go into it. Think about your loved ones favourite foods as you plan the menu. A thoughtful, home-cooked meal can easily trump a restaurant meal. Fresh flowers brighten up any room, and bring all the joy of Valentine’s day to your home without the overindulgence. Skip the chocolate and lollies this year, and spend an extra couple of bucks on flowers instead. Remember: red symbols passion and pink represents love. Invest in a heart-shaped cookie cutter and turn healthy foods such as watermelon and rockmelon slices into hearts. Pancakes, and sandwiches also hold-up well to the cookie-cutter treatment. Alternatively, you can invest in a couple of heart-shaped bowls for Valentine’s Day meals. Just because it’s Valentine’s Day doesn’t mean you have to limit yourself to giving chocolate, flowers and soft toys! Think about things that your loved ones need and want, and give those as gifts instead. If you’re craving (or want to give) something sweet on Valentine’s Day, go for 30g of good quality, 70%+ dark chocolate. Cocoa has a higher antioxidant capacity than some superfruits, and packed with phytonutrients than fend off inflammation, oxidative damage, and inflammation. Be sure to choose a good quality variety, and moderate your portion for the best results. Chocolate is also rich in saturated fat which has been linked with heart disease risk. Make this Valentine’s Day your healthiest yet for you and your loved ones with some simple healthy swaps. A little creativity goes along way with making St. Valentine’s holiday a healthier day! 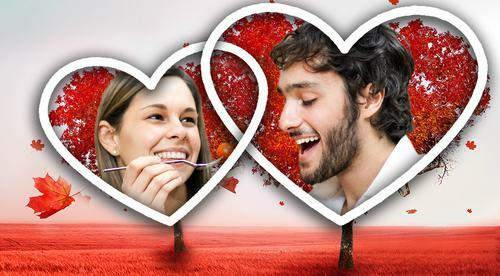 How will you be celebrating Valentine's Day? Tell us below! Edwina Clark is a Registered Dietitian, with extensive experience counselling on health and wellness topics. Edwina has led corporate wellness programs for clients including Google, State Street Bank and Cancer Treatment Centre of America, in both the US and Europe. She is a seasoned public speaker, with writing featured in Teen Vogue, Adidas MiCoach Blog, and Sheraton publications. Edwina is also a former Australian athletics representative, sun-lover, and self-confessed chocoholic. Is barbecued meat a health hazzard?